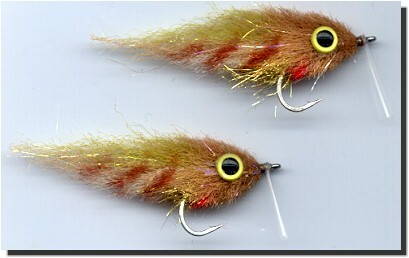 Enrico Puglisi's Everglades Minnow or "Everglades Special" was developed with the backcountry in mind. This lovely little fly imitates a variety of small backcountry baitfish, and is readily taken by snook, baby tarpon, redfish, and more. A monofilament weedguard helps prevent snagging in mangroves and weedy areas. Tarpon on fly by Orlando "Orly"
Enrico's Everglades Minnows are tied on super sharp Gamakatsu hooks. These flies feature a monfilament weedguard. The total length of the #1/0 fly is approximately 2 1/4 inches (6 cm); the #2/0 fly measures approximately 3 1/4 inches (8.2 cm) in length. 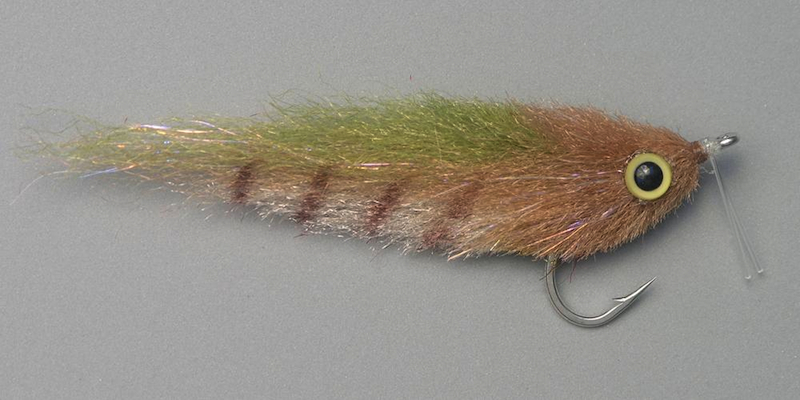 Tied by Enrico Puglisi Ltd - Enrico calls this fly the "Everglades SP".